This post is sponsored by Celestial Seasonings but the content and opinions expressed here are my own. Tea or Coffee? It's often a hot topic to debate! As for me, I'm firmly on Team Tea. Considering most Americans are absolutely obsessed with coffee (just look at all the memes, slogans, and coffee shops), I feel like I'm in the minority. I've tried coffee often, but I just can't see what the fuss is all about! I'm all about tea! I've been a tea drinker since I was a teenager, but it's more of a lifestyle now that I'm older, and part of my daily self-care and wellness routine. Research shows that there are many health benefits of tea, so drinking it is also good for me! I always start my day with a cup of hot tea, sometimes have a second cup after lunch, and wind down with a cup of decaffeinated tea before bed. For me, sipping a hot cup of tea is very comforting! 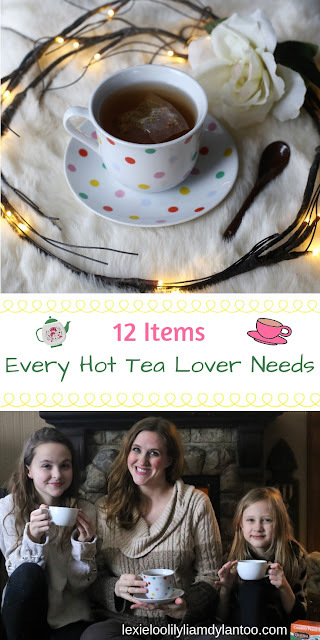 We are a tea AND coffee household, but I'm the tea lover, and I'm passing my love for hot tea on to my daughters! It's definitely the healthiest choice of many drink options, and will help lead to lifelong wellness habits. Sipping hot tea is also a great, soothing option for self-care and relaxation! Please, please, please don't use a microwave to heat water for your tea! It just doesn't taste as good! Every tea lover needs a pretty tea pot. Not only does it look better when you offer hot tea to house guests, but it just adds to the tea drinking experience, and it holds so much more water so you can have multiple cups of tea if you want! Sometimes my entire family wants hot tea at the same time. My tea pot simply doesn't hold enough water for all of us. We invested in a large electric kettle last year, and it is one of the most used items in our home! Because it only heats up water, it doesn't change the flavor of the tea in any way. The best part? It heats up the water in just a few minutes! If you have loose leaf tea, it helps to keep a tea scoop in the bag or canister. They are very inexpensive on Amazon! This is another item you will need for loose leaf tea. I have a silicone and stainless steel loose leaf tea infuser with a floating handle and drip tray. (Also can be found on Amazon.) I absolutely love it! This may seem pointless to some, but I love this little gadget! It looks like a tiny pair of tongs, and is perfect for fishing out tea bags that don't have strings and squeezing out the excess tea from the bag. It really is the perfect little extra for tea lovers! What goes perfectly with a cute tea cup? A cute decorative tea spoon made specifically for stirring hot tea and coffee! They are perfectly sized for tea cups and mugs! Perhaps it's just me, but I love collecting cute mugs and tea cups! I love choosing a different one each morning! If you're anything like me, you are always busy, and your tea (or coffee) cools down before you have the chance to finish it. You will end up warming up your mug in the microwave multiple times before it's all gone! A mug warmer will keep that from happening! They are so inexpensive, and they make a great gift for anyone who loves hot drinks! Some tea lovers don't like to add anything to their hot tea, but I like to mix things up a bit. I love to add a little bit of sugar, and it's just easier to use sugar cubes. When I'm sick, I drink tea with honey, and honey sticks are a convenient option! There's no messy honey pots or honey drippers to deal with! I love having choices, so I can drink different flavored teas throughout the day. I love all the healthy and flavorful options from Celestial Seasonings! Celestial Seasonings has a large selection of flavorful teas and wellness teas at a VERY reasonable cost. They are much less expensive than their competitors, and there truly is a flavor or variety for everyone! You can feel good about purchasing Celestial Seasonings, because they care about the Earth. They focus on sustainablility by selling stringless tea bags, and packaging the tea bags in recycled boxes! My family tries to focus on green living, so I love the fact that this is a brand that cares about the world around them. Drinking tea from Celestial Seasonings is a much healthier alternative to other drinks! The teas easily fit into all kinds of diets, including gluten-free, low calorie, Keto, and Paleo. Celestial Seasonings is well known for their Sleepytime teas, including Sleepytime Extra with calming valerian, Sleepytime Detox, and Sleepytime Sinus Soother with a menthol flavor and aroma. We love their Sleepytime collection, but I love their flavorful 0 calorie teas, too. Celestial Seasonings offers delicious flavors such as Country Peach Passion (my favorite), Peppermint, and the soothing Honey Vanilla Chamomile! These three flavorful herbal teas are both Caffeine Free and Gluten Free. The Peppermint Tea and Country Peach Passion Tea can also be used to make iced tea! Celestial Seasonings can be found at your local Walmart, and is also available for online grocery pick-up! Are you a tea drinker or a coffee drinker? 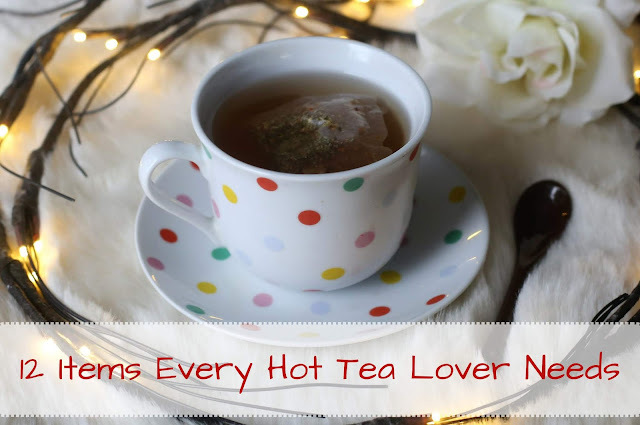 If you love hot tea, what is your favorite flavor, and what would you add to my list? I'm a coffee drinker though I do like some tea from time to time. My in-laws drink tea non stop! I really like Celestial Seasonings tea types. I love those tea cups. So pretty. I also love tea soooo much. I never used to like tea, but since coffee has made me sick this whole pregnancy, tea has become my jam! I love Celestial Seasonings, too! Their lemon zinger is the one I've used to combat nausea throughout! I'm a coffee drinker, but there are definitely times when I want tea. My husband enjoys tea and my mother-in-law drinks tea every single day. I'll definitely be purchasing some of these for her!